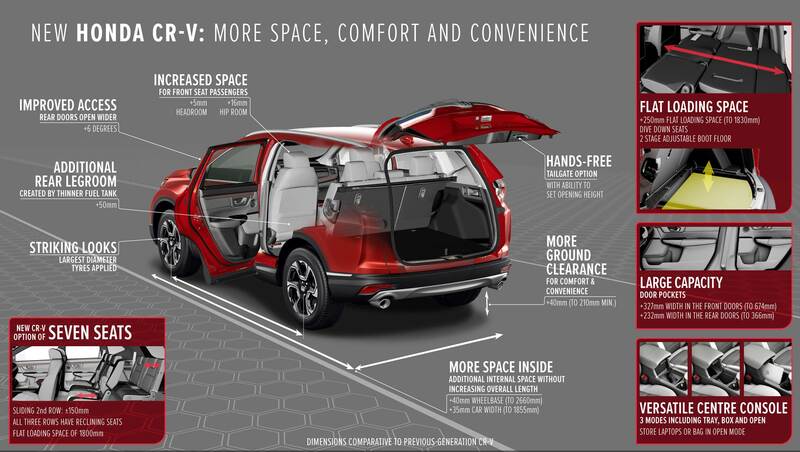 At Auto Expo 2018, Honda Cars India had made public its plan to launch the CR-V premium SUV within the current fiscal. Autocar India, Autocar Professional’s sister magazine, has confirmed that the new Honda CR-V will go on sale in India in October 2018. The latest-gen CR-V is larger than its predecessors and promises to have wider appeal due to two key details – a third row of seats, which will strike a chord with large families, and a diesel engine for the first time in India. The diesel engine is a 1.6-litre unit from Honda’s Earth Dreams engine family. However, to keep costs down, Honda has opted to bring the single-turbo rather than the twin-turbo version of the engine to India. It is understood that a twin-turbo arrangement would have bumped up the CR-V’s price by up to Rs 150,000. In the single turbo guise, the 1.6 diesel develops 120hp and 300Nm, which are not shining figures for an SUV of this class. The engine will come mated to a nine-speed automatic transmission with paddle-shifters as standard, and there will also be the option of all-wheel drive. Honda has decided to give manual gearboxes a miss for the India-bound CR-V citing low demand. The other engine-gearbox option on offer will be a 2.0-litre petrol engine mated to a continuously variable transmission. The 2.0-litre engine’s 154hp and 189Nm are near identical to the Hyundai Tucson’s 2.0-litre engine's 155hp and 192Nm. The petrol CR-V will solely be available in the front-wheel-drive form, and what’s a bit of a downer is that it will miss out on paddle-shifters. While the final spec for India is not known as yet, features you can expect on the CR-V include a powered driver’s seat, dual-zone climate control and a 7.0-inch touchscreen with Apple CarPlay and Android Auto. 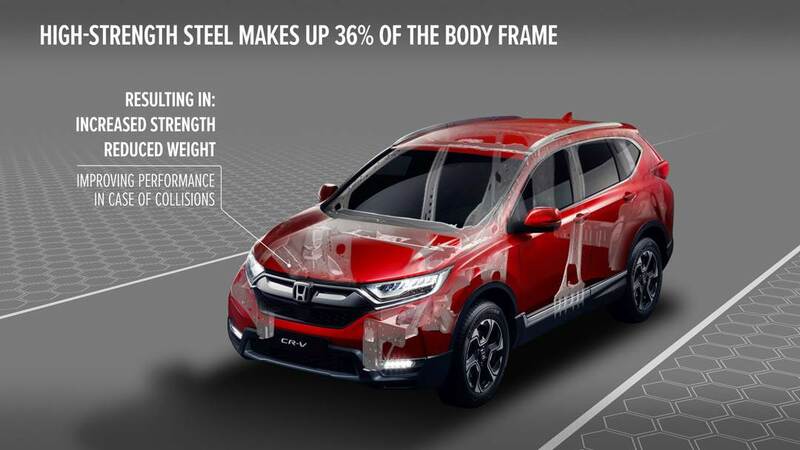 The new CR-V will be assembled in India but Honda is not looking at large numbers for the SUV. Expect prices to be in the region of Rs 28 lakh (estimated, ex-showroom). Honda will follow up the launch of the CR-V with that of the Civic in the months to follow. New CR-V photo gallery: 50+ images!